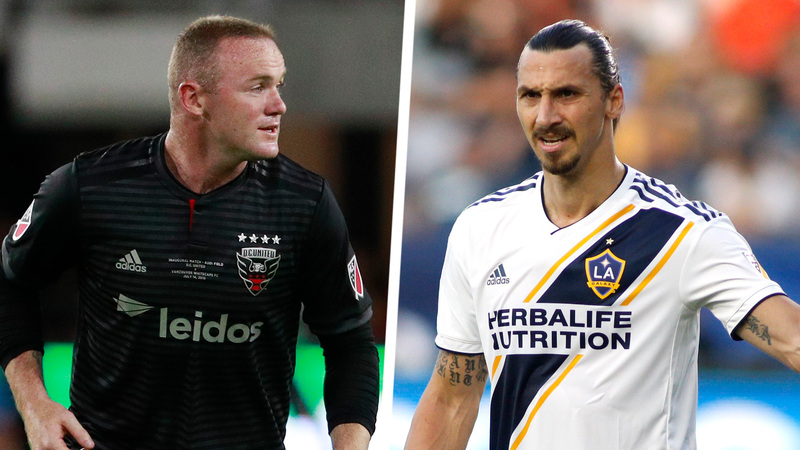 Wayne Rooney and Zlatan Ibrahimovic have both been named finalists for the 2018 Landon Donovan MLS MVP Award. Both former Manchester United stars arrived after the MLS season started, but each player had a huge impact on their respective sides. Ibrahimovic joined the LA Galaxy in March, and recorded just the fourth 20-goal, 10-assist season in MLS history. His heroics were not enough to get the Galaxy in the playoffs, however. Rooney, meanwhile, joined D.C. United in July and helped the capital club to a huge midseason turnaround, scoring 12 goals and adding seven assists as United went from last place to a playoff berth. Like Ibrahimovic and Rooney, Carlos Vela has also been nominated for the MVP award, as well as the Newcomer of the Year award. The Mexico international helped lead expansion side Los Angeles FC to the playoffs, scoring 14 goals and adding 13 assists. The MVP finalists are rounded off by two Atlanta United stars: midfielder Miguel Almiron and striker Josef Martinez, who broke the league’s single-season scoring record in 2018 with 31 goals. How many people have died at Isle of Man TT over the years? Is it the world’s most deadliest race?